Twitter is a social network that makes it possible to add friends to your timeline from who you would like to receive daily messages and updates. Your a�?friendsa�� can also follow your account, so they can see your posts (which are called a�?tweetsa��). Using Twitter you can send 140 character messages and share it with the world. This is called a�?Twitteringa��. It is very attractive for a company to create a twitter account, because you can easily reach your audience. Your customers can follow your account, which makes it possible for them to show your messages on their timeline. A big advantage from Twitter is that you can reach a big audience for free. We optimize the use of Twitter for the customers of S&S Online Marketing. There are many advantages to be gained when companies use twitter, but it is part of a bigger and well thought out marketing strategy. The biggest advantage is to generate more visitors to your website. As owner of a company is generating more traffic to your website one of the main goals of your online marketing strategy. All open twitter messages will be indexed in the search results from Google. This will give your company a chance to obtain a higher result in the search results. Link to your Twitter account with your most important search word in the anchor text. 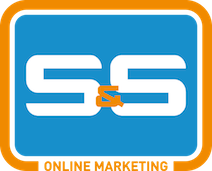 S&S Online Marketing is specialized in social media marketing and can help your company with maintenance for your social media channels. It is possible for companies to integrate a Twitter module in the website. It is possible to program the module so that the module is coupled to display an existing Twitter account and feeds on the website. We can also to let these feeds be a part of the website. Which means that the feeds are added to the contents of the website. A change of this content, causes a change of the website, allowing the site to be continuously updated. This is positive for the search results, as a frequently updated website are shown higher in the organic search results.